Neanderthals survived at least 3,000 years longer than we thought in Southern Iberia - what is now Spain - long after they had died out everywhere else, according to new research published in Heliyon. The authors of the study, an international team from Portuguese, Spanish, Catalonian, German, Austrian and Italian research institutions, say their findings suggest that the process of modern human populations absorbing Neanderthal populations through interbreeding was not a regular, gradual wave-of-advance but a "stop-and-go, punctuated, geographically uneven history." "Technology from the Middle Paleolithic in Europe is exclusively associated with the Neanderthals," said Dr. João Zilhão, from the University of Barcelona and lead author of the study. "In three new excavation sites, we found Neanderthal artefacts dated to thousands of years later than anywhere else in Western Europe. 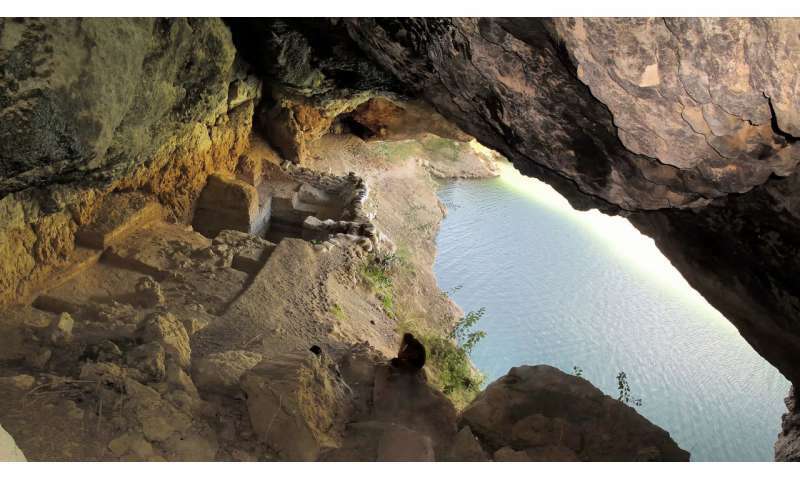 Even in the adjacent regions of northern Spain and southern France the latest Neanderthal sites are all significantly older." According to the new research, this process was not a straightforward, smooth one - instead, it seems to have been punctuated, with different evolutionary patterns in different geographical regions. "We believe that the stop-and-go, punctuated, uneven mechanism we propose must have been the rule in human evolution, which helps explaining why Paleolithic material culture tends to form patterns of geographically extensive similarity while Paleolithic genomes tend to show complex ancestry patchworks," commented Dr. Zilhão. "There is still a lot we do not know about human evolution and, especially, about the Neanderthals," said Dr. Zilhão. "Our textbook ideas about Neanderthals and modern humans have been mostly derived from finds in France, Germany and Central Europe, but during the Ice Ages these were peripheral areas: probably as much as half of the Paleolithic people who ever lived in Europe were Iberians. Ongoing research has begun to bear fruit, and I have no doubt that there is more to come."